Dr. Omar Madriz is a Professor in the Department of Surgery at McGovern Medical School at The University of Texas Health Science Center at Houston (UTHealth). Dr. Madriz treats patients with anorectal or colonic pathology out of the West side of Houston, including the Memorial City and Katy regions. He is accepting new patients age 16 and older. 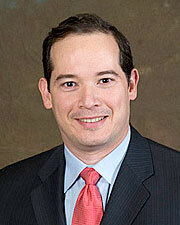 Dr. Madriz takes great pride in taking excellent care of his patients. His primary philosophy is to do whatever is best for his patients and to treat them with the utmost care and respect. Texas Society of Colon and Rectal Surgeons, American Society of Colon and Rectal Surgeons, Fellow, American College of Surgeons, Fellow. He has also received numerous awards and achievements throughout his career. Dr. Madriz is a family man. He loves spending time with his wife and children. He spends a lot of time going to his son’s soccer games and tournaments as well as going to his daughter’s dance recitals. Dr. Madriz also enjoys hunting and fishing.